TOP SPORTSMAN: Glen Hogan, who passed away earlier this month, moved to Gympie in 1992, where he established himself as a rugby league player, coach and mentor. FAMILY and friends said thank you and goodbye as they laid Gympie sporting legend Glen Hogan to rest last Friday. A sportsman and gentleman, Glen Thomas James Hogan was born on September 4, 1954, and passed away after a battle with cancer on the December 8, 2017. 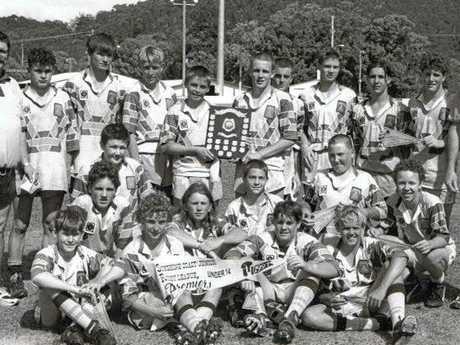 Hogan was a permanent fixture in Gympie rugby league since moving to the town in 1992 and, over the next few decades, was involved with both Brothers and Wanderers clubs and was pivotal in the early days of the Gympie Devils. Son James Hogan said his father would be sorely missed but his contributions to his favourite sport would endure. "He played well into his 50s. He always said that you are a long time retired," James said. "I think it (rugby league) just about meant everything to him besides family. "He'd given pretty much all his life to footy, coaching teams around Australia. "I am sure he enjoyed the game itself - playing physical and tough as a front row/second row forward. "(He) loved the competition and not have his opposition get it over him. "But I also think he loved the mateship and the close friendships you form by being part of rugby league." LOVE TO KEEP UP TO DATE WITH GYMPIE SPORT NEWS? FOLLOW THE TOPIC BY CLICKING HERE. 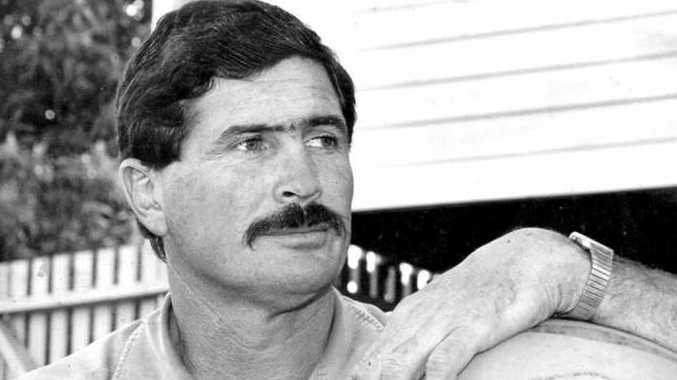 Originally from Mackay, Glen Hogan, coached junior rugby league and representative teams in Gympie and Wide Bay, and was a role model for many young men while under his watchful gaze. "I think his biggest contribution was the way he helped the young men he coached, giving them guidance and playing his role in teaching them about discipline, hard work, being part of a team and respect," James Hogan said. "He played because he loved the game but he also didn't want to let down his team mates and do what was best for the club and the team. "He always thought that if you commit to something, you follow it through." Both James and his brother Richard managed to play a few games alongside their father - rugby league was a family affair and has thoroughly engrained itself within the Hogan clan. "I guess his legacy lives on through my brother and myself and his grandchildren," James said. "He was a tough, hard man in everything he did. Tough but fair. Big on discipline, respect and pushing to do your best." Hogan said his father fought a ferocious battle with aggressive cancer. "He spent some time in Kawana hospital around the middle of August where he was diagnosed," Hogan said. "He had surgery around then... started chemotherapy shortly after but he didn't respond." He was told he would have just weeks to live. "When Dad left hospital in August, all he was worried about was Mum," Hogan said. "He put things in place to make sure she was looked after. Caring to the end." Gympie Rugby League's Darren Burns said men like Glen were hard to come by. "Glen was a gentleman who was highly regarded by many in the community," Burns said. "His contribution to Rugby League in Gympie should not go unnoticed. "He was a coach, player and a committee member which included a time as President. "He was instrumental in establishing the Gympie Devils Development Program in 2005, which still continues today. Men of his standards are becoming rarer in today's modern society, and he will be sorely missed by many."